Have you ever sat through a lecture and felt like your head was going to pop from being forced to read notes and watch PowerPoints? As a teacher, have you noticed that some students are struggling in your class but doing better in others (like P.E., science labs, etc.)? If this describes your situation, chances are you or your students are kinesthetic learners. So, what does that mean? 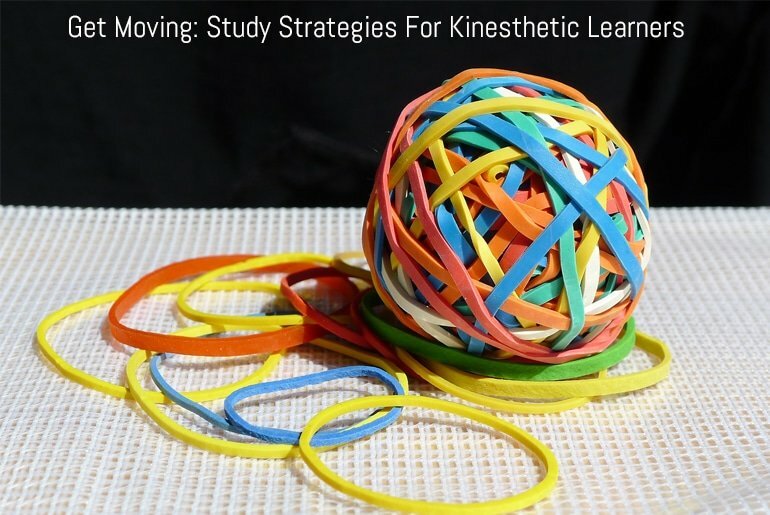 For starters, kinesthetic learning is one of many different learning styles. In a nutshell, a kinesthetic learner needs to be active – moving around, using their hands and feet or engaging with physical objects – while learning the material presented by teachers and other educators. With that being said, it comes as no surprise that students who prefer this type of learning style have a difficult time comprehending material in traditional, lecture-based classroom environments. These are the type of students who find it hard to sit still when trying to take lecture notes during class. Since the body’s unable to move, it no longer has the ability to make a connection with the brain telling the student to be actively listening to a lecture. The student is engaged mentally, but not physically, which means that they won’t be able to understand and take in the material. This is how the body develops critical thinking when problem solving. The majority of the time, kinesthetic learners need to be on their feet and moving around to put something in memory. So, if you believe you’re an active learner – or have students who might be regardless of whether you teach general or special education – you might find the following study strategies helpful to students when it comes to learning. With so much going on in the world today, it can be hard to stay focused when it comes to studying. You have friends wanting to go out, television shows to catch up on, and of course, social media platforms like Facebook, Instagram, and Twitter to use to help you stay connected to the 1.13 billion other active users. This is why the term “study break” has recently turned into a substitute word for procrastination. With that in mind, having a well thought out plan and preparing yourself ahead of time can help reduce the amount of time you spend procrastinating. As it is, kinesthetic learners, have a hard time learning sitting at a desk for long periods of time. If that’s something that describes you – or your students – then make sure to take multiple breaks (but not too long) while studying. In doing so, you’ll be able to move around freely and retain the information you’re reviewing. At times, it can be impossible to stand up and walk around or run in place during a study session. However, if you find yourself in a library, or somewhere that allows limited movement, you can still rely on your active learning techniques. For instance, if you have a rubber band near you, put it around your thumbs and move it in a circular motion while reviewing your notes. Or if you have access to a tennis ball, toss it up in the air with one hand and catch it with the other each time you ask and answer a question. You can also twist the rubber band around your wrist if it’s big enough while you’re reading. Although these are small movements, they can still help a lot in the end. For kinesthetic learners, trying to survive finals week can be tough, especially if you don’t understand the material you’re being tested on. The good news, however, is that flashcards can help. Using flashcards to study allows students to make a game out of studying the material. This is why they’re perfect for kinesthetic learners to use when preparing for an exam. You simply write the question on one side and put the list of answers on the other. Going through the motion of picking up index cards and flipping them over to see the answer allows active learners to use their body to engage in the topic. This is what helps you retain the information. The best part of all is that you can use them by yourself or with a group of other kinesthetic learners. Easily allowing you – the student – to make the material fun to learn. Did you ever think you could kill two birds with one stone? Studies have shown that willpower is like a muscle: in order for it to get stronger, it needs to be worked out. So rather than lying on the bed or sitting on the couch with your notes all over the place, get up and get moving. Do jumping jacks, push-ups, and/or burpees in between chapters. If that doesn’t sound like enough movement, have someone quiz you on your study guide while you shoot a basketball or play catch with a football. It can be a friend or parent, just make sure the person doesn’t get distracted. Set goals for yourself throughout this process. If you’re learning about human biology, for example, tell yourself that “I will fully understand how blood carries oxygen through the body by 6:30 p.m.” What happens if you don’t make it? The answer is simple: get into a push-up position. For active learners, combining physical activities with learning will without a doubt cement those important topics in your brain. Plus, with all that extra energy in your body, you’ll need a way to relieve it.